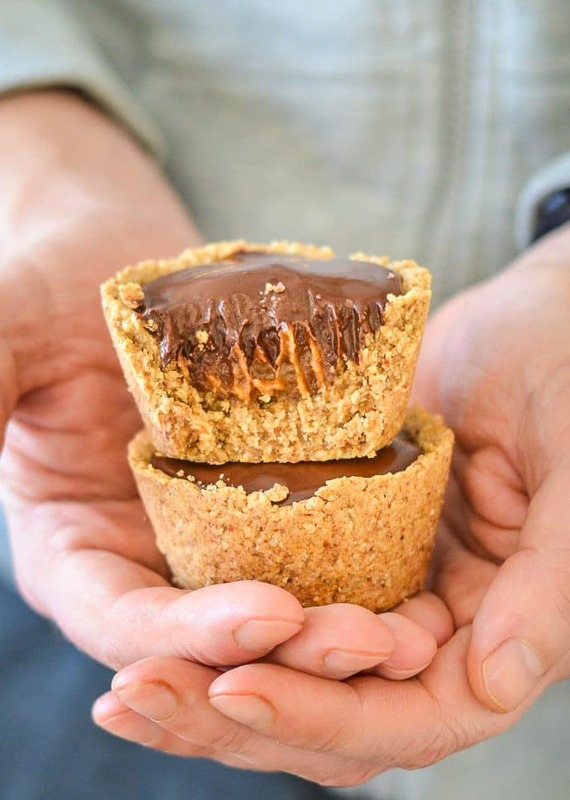 When you can’t decide between cookies, chocolate or caramel these Healthier Chocolate Caramel Cookie Cups are the solution. We’re talking a generous oaty cookie crust, a luscious but secretly healthy caramel filling and a fudgy chocolate topping. Just perfect for snacks or dessert! 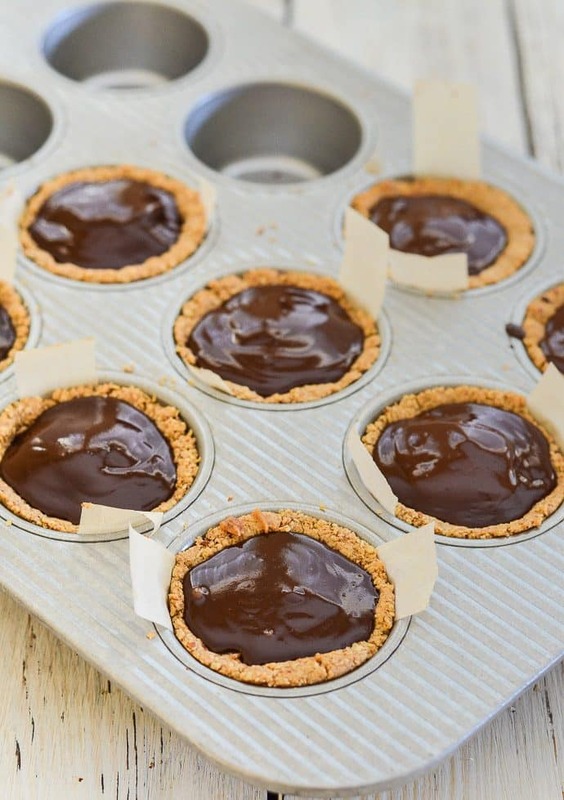 Chocolate Caramel Cookie Cups. I see your thick, oaty cookie crust, your sticky caramel insides and your fudgy chocolate topping and I want you right now. That is exactly what my husband was thinking when I bribed him to pose for this photo. What you don’t see is him scurrying away like 2 seconds after and snarfing them ???? Remember the Date Caramel from a few weeks ago? Well that my friends is what’s filling these super yummy, indulgent, but not actually all that bad for you, Cookie Cups. And see that thick oaty cookie crust? There is no oil in it at all. It’s just blended up healthy things. Of course I did have to sneak some chocolate in there for that fudgy topping but what’s a little chocolate between friends? Naturally I am a big supporter of anything that involves cookies, caramel and chocolate so between me and my husband this batch did not last long at all. They are our new favourite thing of the moment and I have been making them and eating them on repeat. 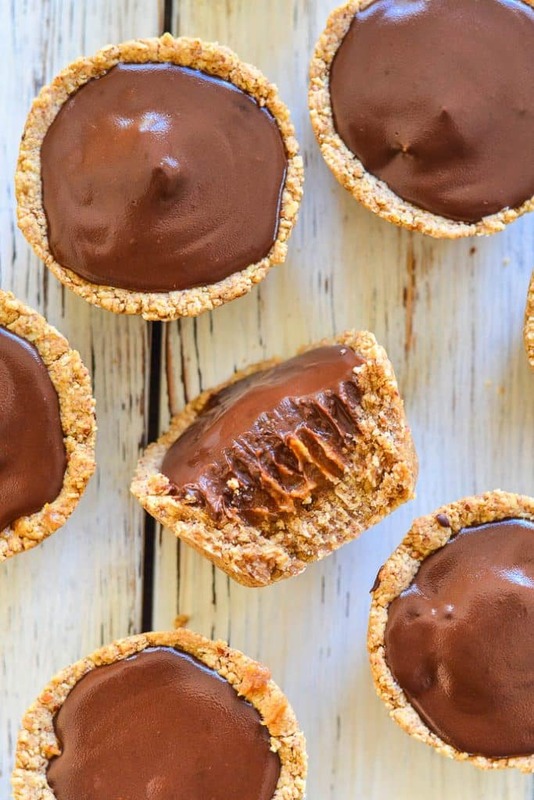 These Healthier Chocolate Caramel Cookie Cups are so easy to make too. Um…chocolate and cookies and caramel? They are substantial and hearty …. just how I like my treats! So, what is in your future? It’s you – In the kitchen. A super simple cookie crust on the go. 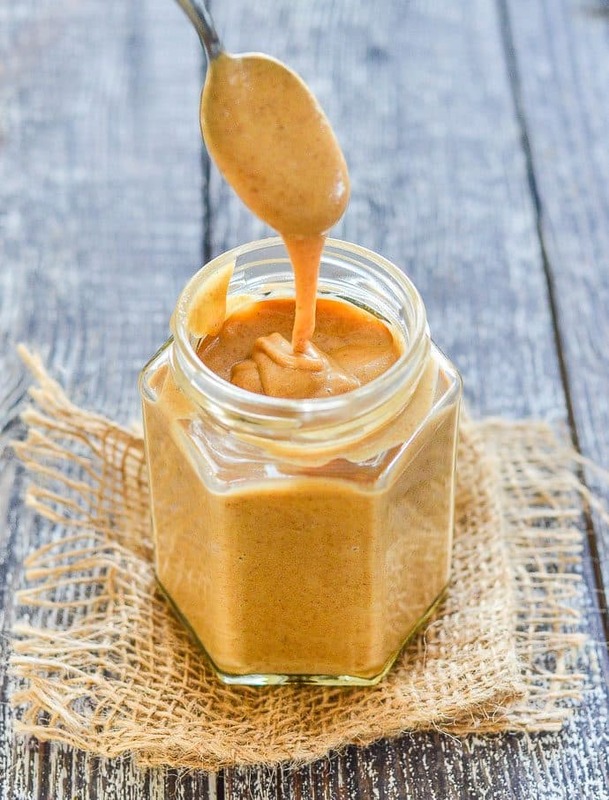 A blender full of luscious caramel. A jug full of melty chocolate. Followed by a stash of Chocolate Caramel Cookie Cups in the freezer. 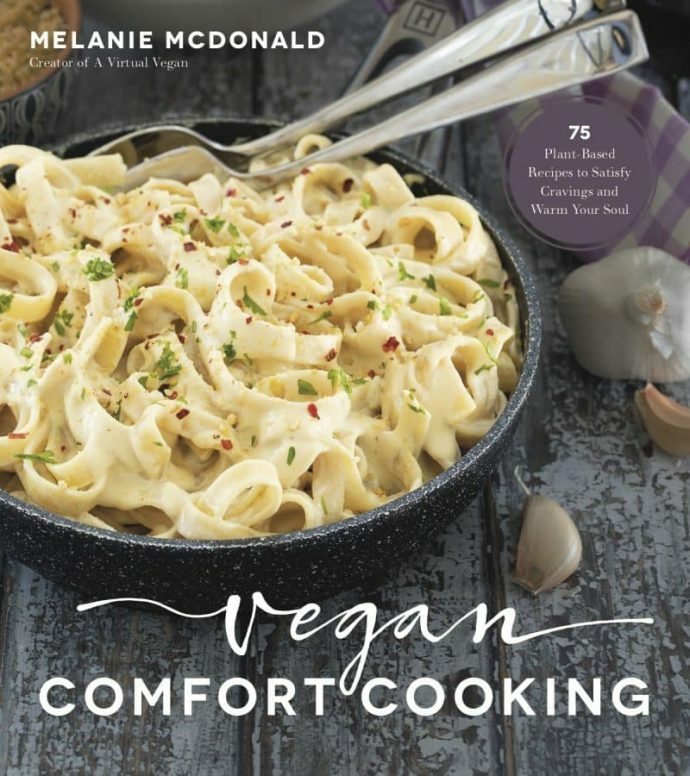 Isn’t that what vegan dreams are made of? Let’s do this! 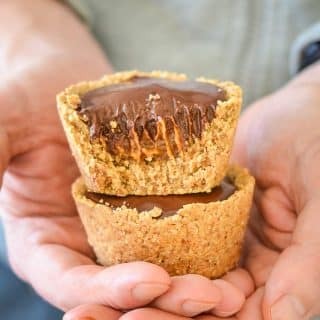 When you can't decide between cookies, chocolate or caramel these Healthier Chocolate Caramel Cookie Cups are the solution. 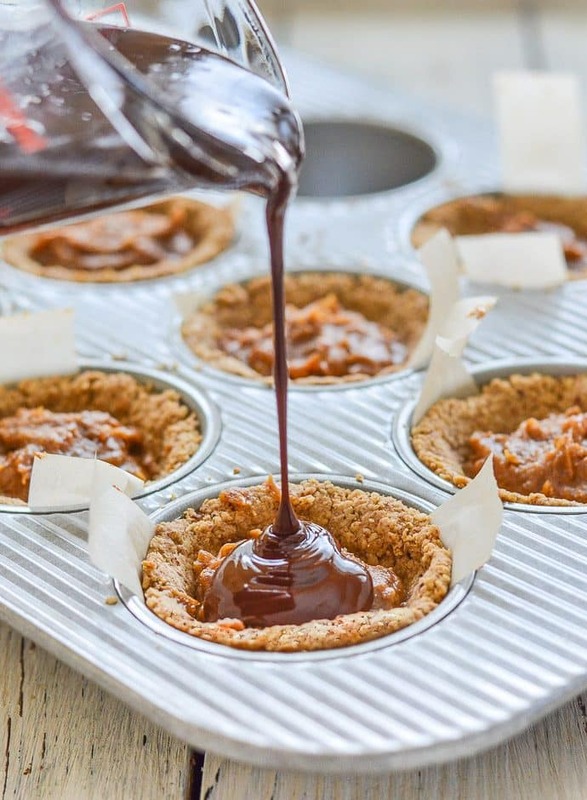 We're talking a generous oaty cookie crust, a luscious but secretly healthy caramel filling and a fudgy chocolate topping. Just perfect for snacks or dessert! Start by making a batch of Date Caramel. 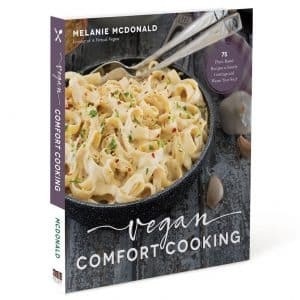 Preheat oven to 350°F and line 8 holes in a muffin pan/s with a long rectangular strip of parchment paper across the bottom and up the sides to aid in lifting out the cookie cups. 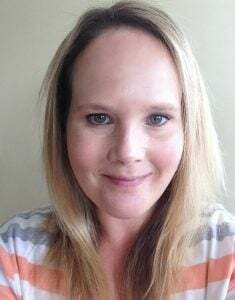 (You can see my strips in my picture in the post above). Add the oats, salt and nuts to a food processor and process until a fine crumb, then add the nut butter and process again until combined. Add the maple syrup gradually and process in between additions until you can squeeze the mixture together in your fingers and it doesn't crumble. I used 3 tablespoons. Take golf ball sized pieces of the mixture and press them into each hole of the muffin pan being careful not to move the paper too much. Press them tightly and evenly with your fingers, into the bottom and up the sides, forming a cup shape. Bake in the oven for 10 minutes then remove and leave to cool in the pan. Once cool add a generous spoon of date caramel into each one, leaving just enough room for a layer of chocolate. Try the level off the caramel as best as you can. Heat the coconut milk in a pan or in the microwave until hot then remove from the heat and add the chocolate chips. Stir until the chocolate has melted and it's all combined and smooth. Then pour as much as will fit into each cup. Carefully transfer the muffin tin into the freezer, making sure it's flat and leave to set. They only need 30 minutes. Store the cookie cups in the freezer. You can leave them in the thin or pop out and store in a container. 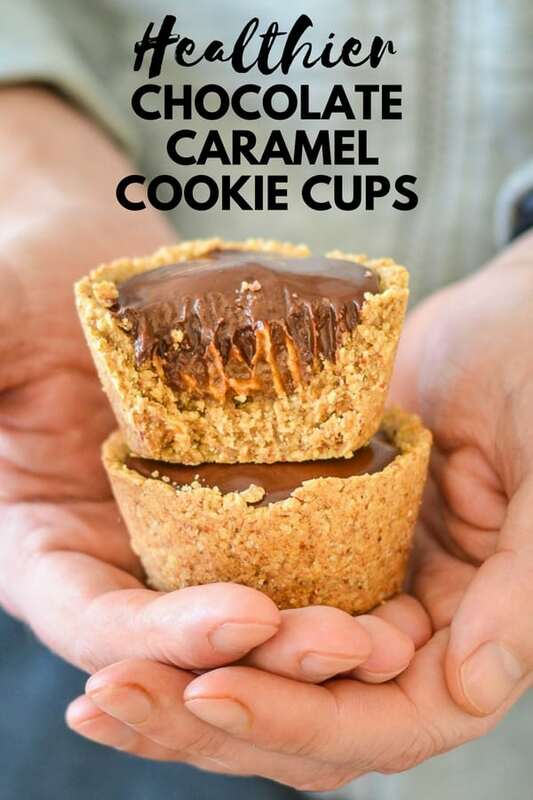 Remove the cookie cups as needed and leave for at least 5 minutes before eating. Don't worry, they don't freeze solid so 5 minutes is all that's needed. *When you make the date caramel, make it on the thick side. You will probably only need 4 tablespoons of coconut milk at the most just to get it going in the blender. Use the remaining coconut milk to make the fudgy chocolate topping. Any left after that can be used in a smoothie, a curry or in your coffee. It also freezes well. If you happen to have any date caramel or chocolate left over you could make yourself a wicked ice cream sundae, or use it as an oatmeal topper. The caramel is even good on toast. Both will keep for up to a week in the fridge in a sealed container. Made these in mini pans… took me ages to press the base into the little molds… but! We had them today for Easter lunch dessert and they were all eaten and ooed and ahhhed over. Will make again in a larger pan perhaps but will definitely make again. Had enough crumb based for 12 mini cupcake molds. Have lots of caramel over to use and also some chocolate mix. Used the tahini in the caramel and it was amazing. Thanks so much for the recipe. I have shared it with my vegan FB pages in South Africa. I’m glad you enjoyed them Maureen and thank you so much for stopping by to leave feedback after you made them. It’s much appreciated! Yuuum! That looks so delicious!